My 4 year old gets a scrape and if you only heard her you'd think something was being amputated! But when she gets to put a bandage on...it usually calms her right down. That was the case when we got these Sports Shields to try out. We got the soccer ones and now she's a "soccer player" :):) As you can see from her knees in the picture, she has been falling down a bit lately so having a lot of bandages on hand is a MUST! 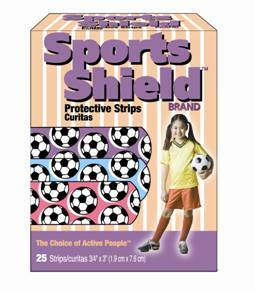 Sports Shields are made from super lightweight, latex free material. They come in eight different designs: Baseball, Basketball, Football, Soccer, Hockey, Cheerleading, Girls Soccer and Fun Fashion. 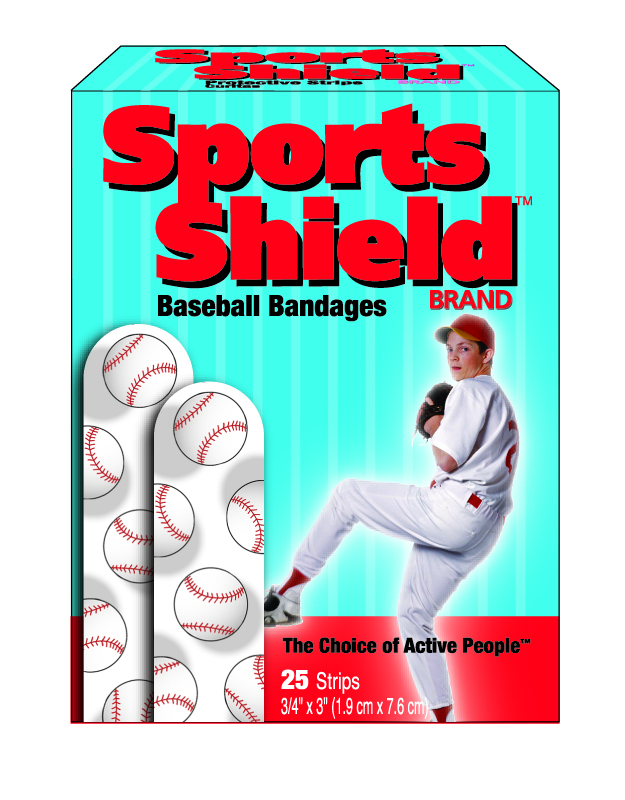 There are also a couple non-sports themed bandages to choose from. 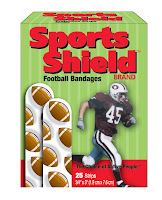 Sports themed bandages sell for $2.50 for a 25-count box! It's $4.00 for a super size variety pack with 16 themed bandages. 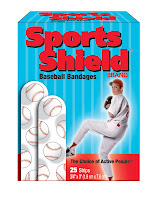 One reader will a box of Sports Shields! US only Design will be selected by Sports Shields. a Rafflecopter giveaway Giveaway will end August 2nd at 11:59pm. 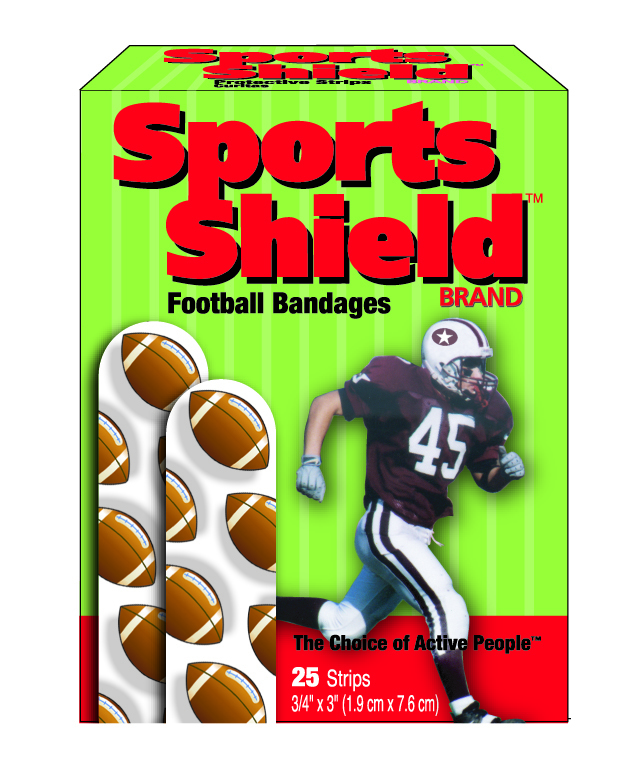 Sponsored by Sports Shields. I received a product for review. No other compensation was received. All opinions are my own. This promotion is in no way sponsored, endorsed or administered by, or associated with, Facebook. We hereby release Facebook of any liability. Winner(s) will be contacted by email and will have 48 hours after the giveaway ends to respond before another winner is picked. These bandages are cute! Thanks for the review and giveaway! I do :):) Thank you!!! I'm so glad it is helpful!!! 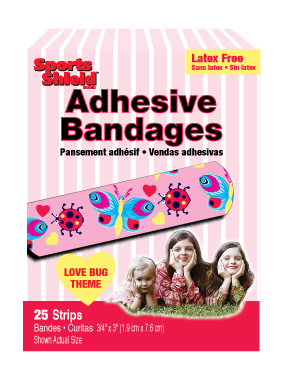 My kids LOVE fun bandaids! We can ALWAYS use bandaids!!! My grandson would love the bandaids. He won't use an ordinary one; the bandaid has tohave e a cartoon character or a Thomas the Train on it. Aw how cute, kids will love these! These are so cute. Both of my little ones would love them. My 5 year old son is the same. Once the band aid is on, everything is perfect!!! My kids would love these, thanks!! My poor son would love these. All we have in the house right now is Strawberry Shortcake bandages! I love these! Especially the baseball ones! I have 2 boys who would love these!